U.S. President Barack Obama (L) and first lady Michelle Obama walk toward the residency after they landed at the White House April 18, 2013 in Washington, DC. President Obama and the first lady have returned from attending an interfaith service in Boston for the victims of the Boston bombing. Michelle Obama paired black pointy flats with her sheath dress for a comfy yet stylish finish. 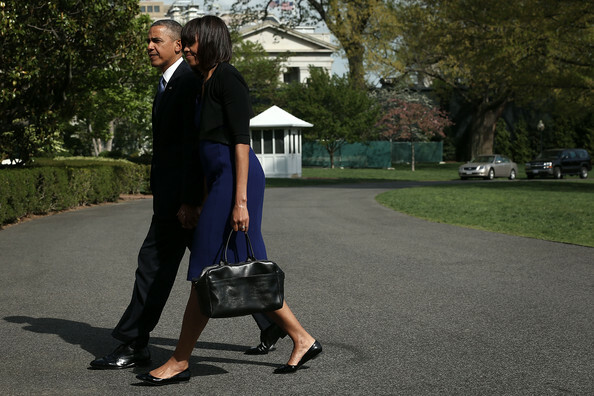 Michelle Obama returned to the White House from Boston carrying a simple black leather tote.